The late 1920s saw male blues artists make tremendous inroads, and the diversity of blues styles recorded was truly amazing. The jazz-influenced, classic female blues style was far from dead, though. In fact, as these next two recordings show, it was stronger than ever. 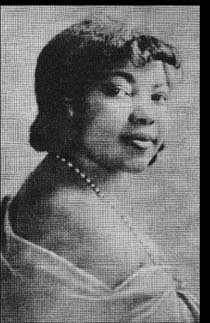 Sippie Wallace was one of the more successful female blues artists of the 1920s. She wrote a lot of her own songs, including “I’m a Mighty Tight Woman,” one of her best. Like her contemporaries, her voice is very powerful, and yet it has a subtle softness to it here that works perfectly with the somewhat vulnerable lyrics: “I've come to you, pretty papa, falling on my knees / To ask if you ain't got nobody, kind darling, take me please.” The jazz accompaniment is also some of the strongest to ever make it onto a blues record. Johnny Dodds is so good on clarinet that he very nearly upstages Wallace. This record is a pure delight from start to finish. This song is so good it floors me every time I hear it: Bessie Smith, voice strong and expressive as ever, delivers some of the most classic lyrics in blues history. In the beginning of the song, the narrator reminisces about the times when she had money: “I carried my friends out for a good time / Buying bootleg liquor, champagne and wine.” But as she falls on hard times, she finds that her so-called friends cannot be found: “It’s mighty strange, without a doubt / Nobody knows you when you’re down and out.” Every word is simply amazing. For the final verse, Smith repeats some earlier lines, and doesn’t even have to sing all of the words. The story was so memorable and expertly sung on the first telling that she can just hum through most of the line, sing the last few words, and the listener knows what she means. Those hummed lines capture more feeling without words than most songs can ever hope to convey.